Shelving Direct offers the possibility of extending your heavy-duty shelves with these added units, available in the same size as the original shelf. They consist of a single frame, with the corresponding diagonals, and three pairs of struts without decking inserts that can be placed at the desired height. 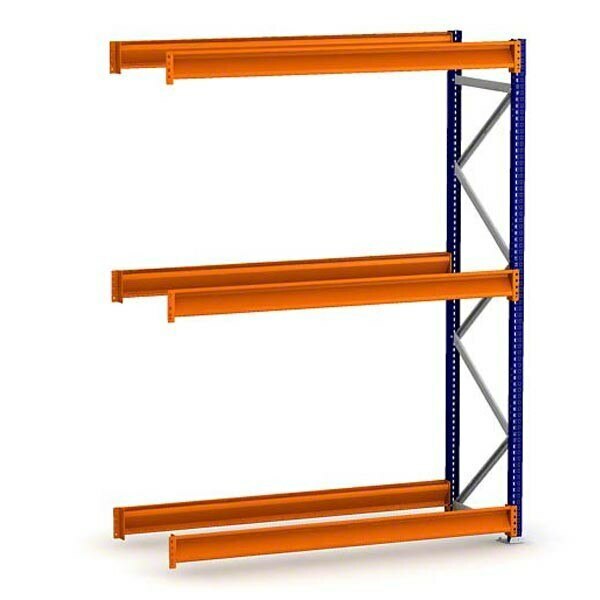 By requiring a single frame, the add-on unit increases the capacity of the heavy-duty shelving with the same quality but at a lower cost than a full shelving unit. You can add as many additional units to the first shelf as needed. Highly durable: a capacity of up to 2,500 lbs per shelf. The struts used for the load levels are adjustable in height every 2''. 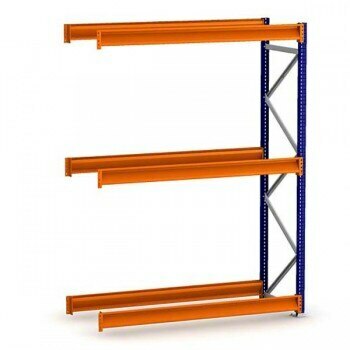 Cost savings in expanding your heavy-duty shelving units. Available in a wide variety of heights, widths, and depths to adapt to the original shelf.